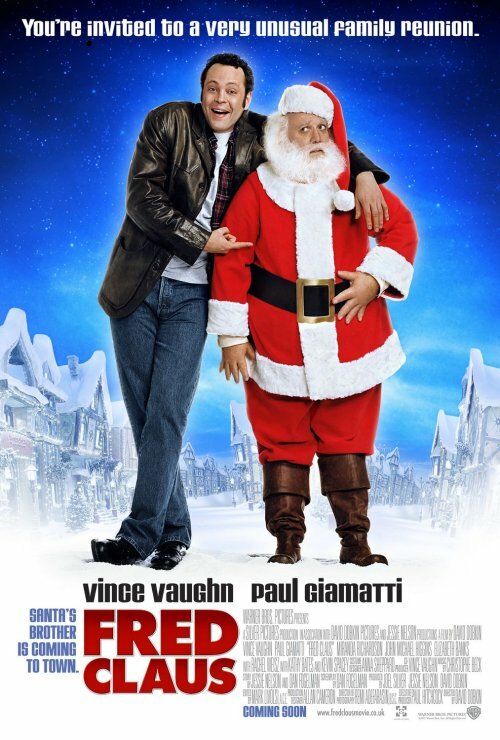 I think I said what I had to say about the Fred Claus marketing campaign when I talked about the last poster. But I’ll just add that besides my already stated objections, I think this poster looks dull in a way that the previous ones didn’t. At least the ones that came before used some lively and warm colors. I like this. The elves were just creepy (Do I want to have elves on my head, or see a movie about a guy who does? I do not! ), and the Big Wheel was confusing. For the title, this represents a breakthrough. This is a crystal-clear explication of the Santa’s-grungy-brother concept at last, suggesting fraternal teasing and delivering the Vince Vaughn we’ve come to know and love. I like the blue, too, it feels wintry at least.